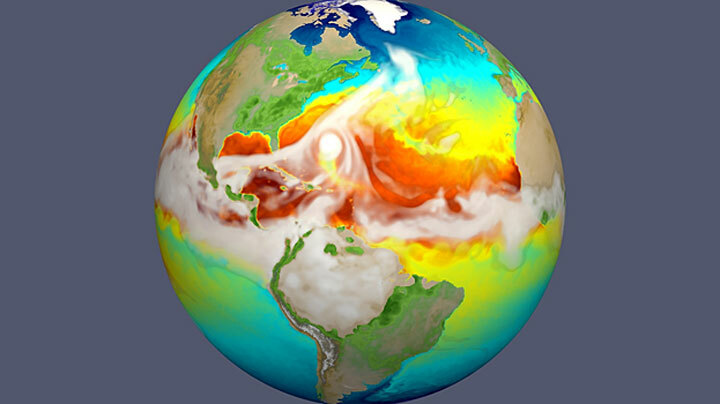 The high-resolution E3SM earth system model simulates the strongest storms with surface winds exceeding 150 mph—hurricanes that leave cold wakes that are 2 to 4 degrees Celsius cooler than their surroundings. This simulation from E3SM represents how sea surface temperature changes evolve as a hurricane (seen here approaching the U.S. East Coast) moves across the Atlantic and how the resultant cold wake affects subsequent intensification of the next hurricane. A new earth modeling system unveiled today will have weather-scale resolution and use advanced computers to simulate aspects of Earth’s variability and anticipate decadal changes that will critically impact the U.S. energy sector in coming years. 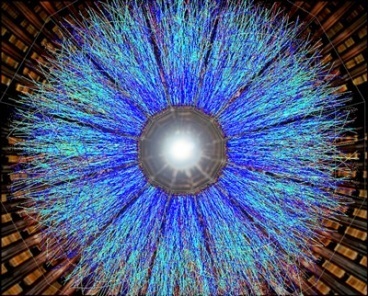 After four years of development, the Energy Exascale Earth System Model (E3SM) will be released to the broader scientific community this month. The E3SM project is supported by the Department of Energy’s Office of Science in the Biological and Environmental Research Office. The E3SM release will include model code and documentation, as well as output from an initial set of benchmark simulations. The Earth, with its myriad interactions of atmosphere, oceans, land and ice components, presents an extraordinarily complex system for investigation. Earth system simulation involves solving approximations of physical, chemical and biological governing equations on spatial grids at resolutions that are as fine in scale as computing resources will allow. The E3SM project will reliably simulate aspects of earth system variability and project decadal changes that will critically impact the U.S. energy sector in the near future. These critical factors include a) regional air/water temperatures, which can strain energy grids; b) water availability, which affects power plant operations; c) extreme water-cycle events (e.g. floods and droughts), which impact infrastructure and bio-energy; and d) sea-level rise and coastal flooding which threaten coastal infrastructure. The U.S. Department of Energy (DOE) today unveiled a powerful, new earth system model that uses the world’s fastest computers so that scientists can better understand how earth system processes interact today and how they may evolve in the future. The Energy Exascale Earth System model, or E3SM, is the product of four years of development by top geophysical and computational scientists across DOE’s laboratory complex. This video highlights the capabilities and goals of the E3SM project. Water Cycle: How does the hydrological cycle interact with the rest of the human-Earth system on local to global scales to determine water availability and water cycle extremes? Biogeochemistry: How do biogeochemical cycles interact with other Earth system components to influence the energy sector? Cryosphere Systems: How do rapid changes in cryosphere (continental and ocean ice) systems evolve with the Earth system, and contribute to sea-level rise and increased coastal vulnerability? In the E3SM, all model components (atmosphere, ocean, land, ice) are able to employ variable resolution to focus computing power on fine-scale processes in regions of particular interest. This is implemented using advanced mesh-designs that smoothly taper the grid-scale from the coarser outer region to the more refined region. 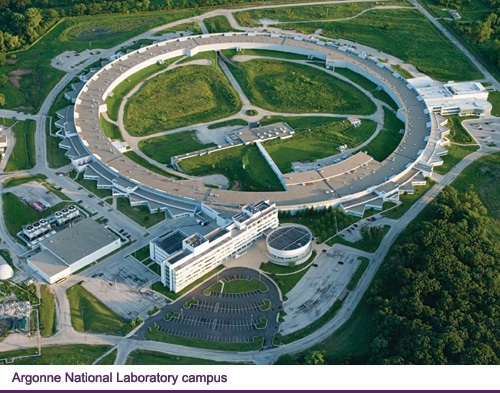 The E3SM project includes more than 100 scientists and software engineers at multiple DOE Laboratories as well as several universities; the DOE laboratories include Argonne, Brookhaven, Lawrence Livermore, Lawrence Berkeley, Los Alamos, Oak Ridge, Pacific Northwest and Sandia national laboratories. In recognition of unifying the DOE earth system modeling community to perform high-resolution coupled simulations, the E3SM executive committee was awarded the Secretary of Energy’s Achievement Award in 2015. In addition, the E3SM project also benefits from-DOE programmatic collaborations including the Exascale Computing Project (ECP) and programs in Scientific Discovery through Advanced Computing (SciDAC), Climate Model Development and Validation (CMDV), Atmospheric Radiation Measurement (ARM), Program for Climate Model Diagnosis and Intercomparison (PCMDI), International Land Model Benchmarking Project (iLAMB), Community Earth System Model (CESM) and Next Generation Ecosystem Experiments (NGEE) for the Arctic and the Tropics.